What about fish oil and llow dose doxycycline? Do you recommend this? 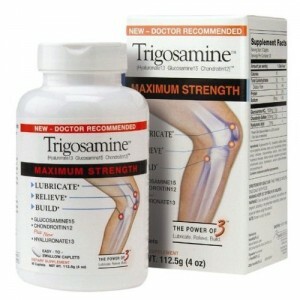 Have you tested CVS and Walgreens brand Glucosamine/Chondroitin? If so, how did they rank? Have you heard of Advanced Biosolutions or Joint Advantage Gold? Is there a reason that Conquer HA is not included in your review list? I would appreciate a response at your earliest convenience. Thank you. supplements with different hierarchies ? In other words – the Kirkland Glucosamine HCI 1500 mg with MSM 1500 mg – and Kirkland Glucosamine 1500 MSN & Condrotitin 1500 mg are not all that good – they have only given these products one star? Where would I purchase . Mendamine CMO – I live in south Florida…. I need to find a suppliment that will help me overcome my pain. I have right sided pain in my ankle, hip and groin areas. When I walk my left knee pains me because I shift my weight to my left side in order to walk. There are days when I have to use my sister’s walker. My legs fail me, I have to maintain my health as I have a total care sister that I care for in my home. I am 67 years old; have been unemployed since 2008 due to the economy; I need to go back to work as social security is not enough to live on. Can you tell me what suppliment I should be taking? Help! Went to Google in hopes of finding cheaper source of Instaflex. Your review changed my mind. Thanks. How do you rate Shaklee’s Joint Health Complex? 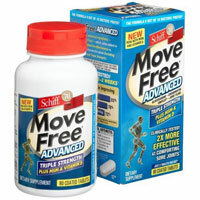 What do you think of Supple healthy joints peach mango dietary supplement ? We’re on fixed incomes – Walgreens, etc., offer BOGO, but prices are still high, and we’re not sure about the quality. SO surprised that New Chapter’s Zyflamend isn’t on the list. After spraining my ankle I had to favor my left leg for 2 weeks. It’s never been the same, and I have pain in it when staying on my feet for long hours or doing running consistently / gym. I work in a health food store. I’ve seen the products. 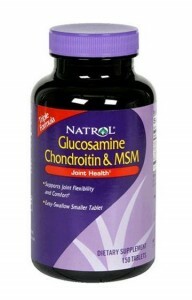 If you want something tried and true, take glucosamine + chondroitin. That will help REBUILD. If you want to take care of the pain immediately however, you want zyflamend or any WELL-REVIEWED product that contains herbs/enzymes that will reduce the inflammation. again. 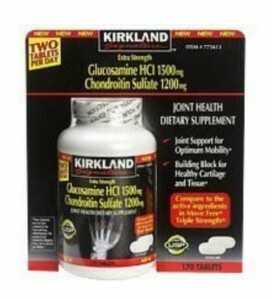 To rebuild: glucosamine + chondroitin. To “de-flame”, zyflamend. Read the reviews online and you’ll see why I feel strongly about it. take care random internet peoples. That is a great idea. We will add zyflamend to our reviews in the near future. Did not finish.Sorry Zyflamend is a great one I recently was pretty much talked into Nutrilite Glucosimine 7 .Have yet seen a difference.Zyflamend has kept me pretty much pain free.I am a hairdresser have degenerative bone. The pain came back when I ran out of Zyflamend for 2 months . Will restock after using rest of the new one I was trying! 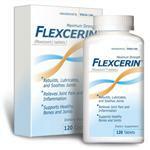 Grat fro cancer patients also .My husband used it from radiation damage .We found it in a cancer book! I just received a small book, in the mail praising Vital 3 yet I don’t see it on your list. Have you heard of it, does it work? Another website put Flexoplex on the top of their list with 5 stars. How is the Supple drank compared to this list of joint supplements? I’m 65 and have arthritis in my hands and spine mostly. Which supplement is best for me. I need something for pain and to stop the destruction of my joints. How does GNC’s glucosamine + MSM rate? I am using Vital 3. I was unable to brush my hair or clean myself in private places because my arms had locked up so bad due to loss of cartlege in both shoulders. I have been using VITAL 3 FOR 100 DAYS. IT TOOK A WHILE BUT NOW I CAN REACH AREAS THAT I COULD NOT BEFORE. I ALMOST GAVE UP BUT EVEN THOUGH THERE IS STILL PAIN, I CAN REACH AND I DON’T NEED TO CALL FOR ASSISTANCE. MOST EMBARRESSING. Please do not automatically ship this product until I see if it works.